Kangaroo Kids came about after Ellie, Emery, and Bodey’s cousin, Olivia, was diagnosed with Down syndrome at 12 weeks into her mom’s pregnancy. Ellie, Emery, and Bodey wanted to do something to support their aunt and uncle with Olivia’s impending care. With hundreds of miles separating them from their soon-to-be cousin, they decided, with their mom's assistance, to create a medical notebook for Olivia’s parents, so they could keep all of her medical information in one place. Fortunately, Olivia did not have many medical issues at birth, but with the medical notebook created, the Pikel kids wondered if there were other parents who might benefit from a notebook. 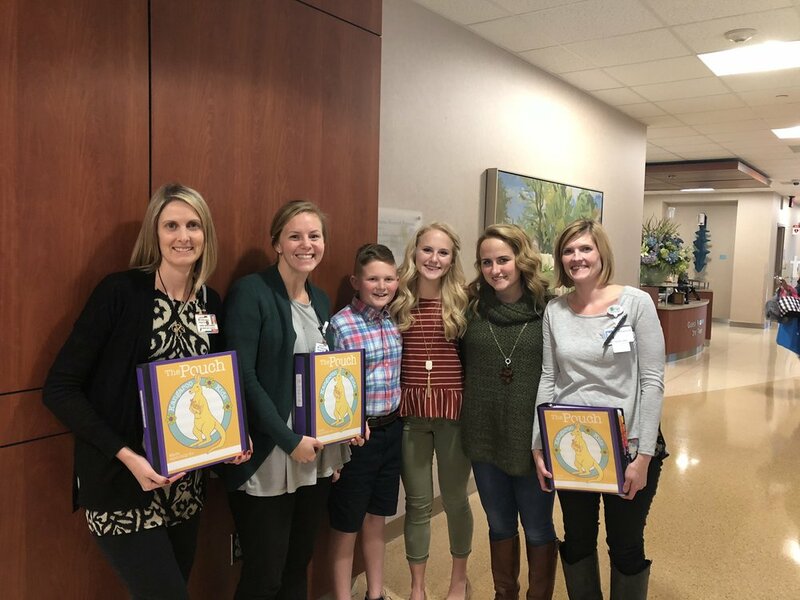 Ellie, Emery, and Bodey’s mom, Michelle, encouraged them to reach out to Carolina’s HealthCare System - Levine Children’s Hospital to see if there was a need. After meeting with various medical professionals, it became evident that there was a desperate need for a "one-stop" medical notebook to keep track of important details. The enthusiasm from the medical professionals at the hospital and the Pikel kids' desire to give back led to the creation of Kangaroo Kids. As their organization has grown, they have expanded their partnerships with other hospitals across the State of North Carolina. Kangaroo Kids was created by the Pikel kids: Ellie, Emery, and Bodey in 2016. The Pikel family lives in Charlotte, North Carolina. Ellie is currently a junior at Covenant Day School in Matthews, NC. Emery is a freshman at Covenant Day. Bodey is a fifth grader at Carmel Christian School in Matthews, NC. In addition to giving back to children with chronic illnesses, the Pikel kids enjoy competitive tennis, cross country, babysitting, and football. They also attend Elevation Church in Charlotte. Ellie, Emery, and Bodey chose the name "Kangaroo Kids" for their non-profit organization because kangaroos have a tendency to give birth to their young prematurely. As a result, momma kangaroos keep their babies in their pouches to help them get the extra ‘TLC' they need. The medical notebooks are called “The Pouch” as parents begin their journey to give their child the extra care they need when faced with a medical diagnosis.